This article in the New Republic goes deep into the work of noted scholars Annette Gordon-Reed and Peter S. Onuf. 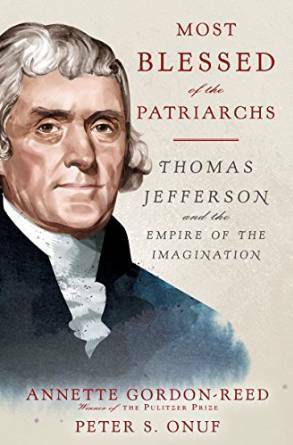 Their new book examines Thomas Jefferson and all his contradictions. The article is worth reading in its entirety. But what really strikes a chord is the summary of how difficult a task Gordon-Reed and Onuf have set out for themselves. Gordon-Reed’s Hemingses of Monticello caused controversy when it was published in 2008 because, in addition to making a strong case that Jefferson fathered Sally Hemings’s children, it sought to enter Hemings’s intellectual and emotional world, and it portrayed Monticello as the home of the Hemingses and others slave families as much as it was the home of the Jeffersons. In short, Gordon-Reed took Hemings’s perspective seriously. I suspect this new book will cause controversy for the opposite reason: it takes Jefferson’s perspective seriously at a time when his reputation is at a low in some quarters, especially college campuses and Broadway. Readers may be unwilling or unable to swallow the potent dram of generosity needed to see the world through a slave owner’s eyes, even one who claimed to hate slavery and who wrote some of history’s most influential words of liberation. In their search for understanding rather than for comfortable bromides, Gordon-Reed and Onuf exemplify a virtue that Jefferson admired, even though, in this case, it does not always tend to his advantage. We’re very much looking forward to reading the book!